8th street North between 5th and 10th avenues, downtown. Great property located on 8th street North between 5th and 10th avenues, downtown. Side by side duplex. Each apartment is aproximately 120 m2 and each has an spacious living room, 2 bedrooms, 1 bathroom and a kitchen-dining room. Both sides share a great size backyard. Wonderful investment opportunity! This duplex is ideal for long term rental, or to live in one side and have your own business in the other side.....many possibilities! This property is adjacent to Casa Grande, the large 3 story home with an oceanview with the front Mayan house of 2 bedrooms. 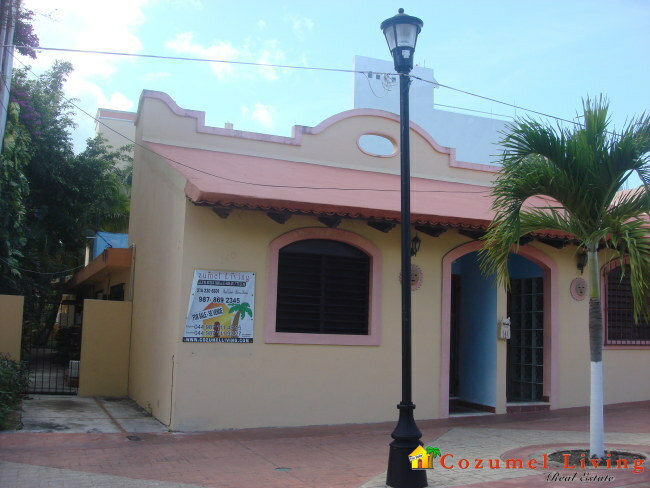 The entire property goes from Calle 6 to Calle 8 and can be purchased together for a great B&B or rental property. CHECK OUT THE COZUMEL LIVING MULTI-LISTING WEB PAGE TODAY!! !